DOWNLOAD: Download our fully interactive PDF version on your PC or device for only £1.99* click here to download your copy. *Newsletter subscribers can enjoy an annual subscription (12 issues) for only £11.99 click here. Welcome, and thank you to everyone who has contributed to our second Photography Show Special Edition. 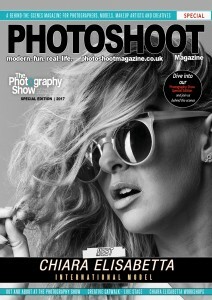 Our front cover image winner is photographer, Ian Marshall, with his portrait of international model, Chiara Elisabetta. The Photography Show 2017, which was from the 19th to the 21nd March … “In focus for thousands of imaging enthusiasts,” was once again a huge success, with nearly thirty-three thousand professional and amateur photographers attending over the three days. PHOTOSHOOT Magazine once again put on a Creative Catwalk Show on the Live Stage and it was another huge hit … see our images from the show, along with our behind-the-scenes video. 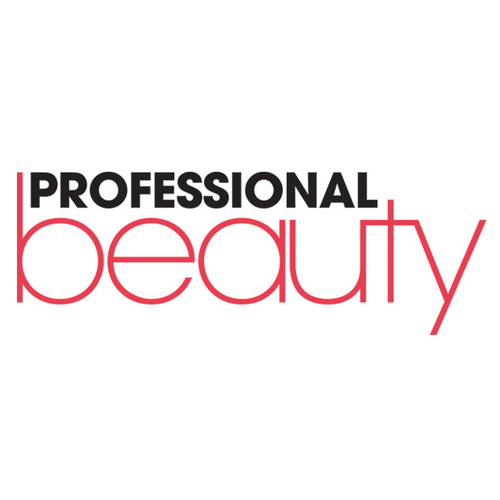 Meet Martina Parmar Bellieni, from The Professional Makeup Academy and her creative team. Read all about our editorial workshops with Chiara and see a selection of images taken by the photographers who attended, along with our video. We wish to give a special thanks to Mike Hardley for photography and videography, Dexter Morgan for photography and workshop assistance and Mark Briggs for photography and PixaPro, who sponsored our studio. 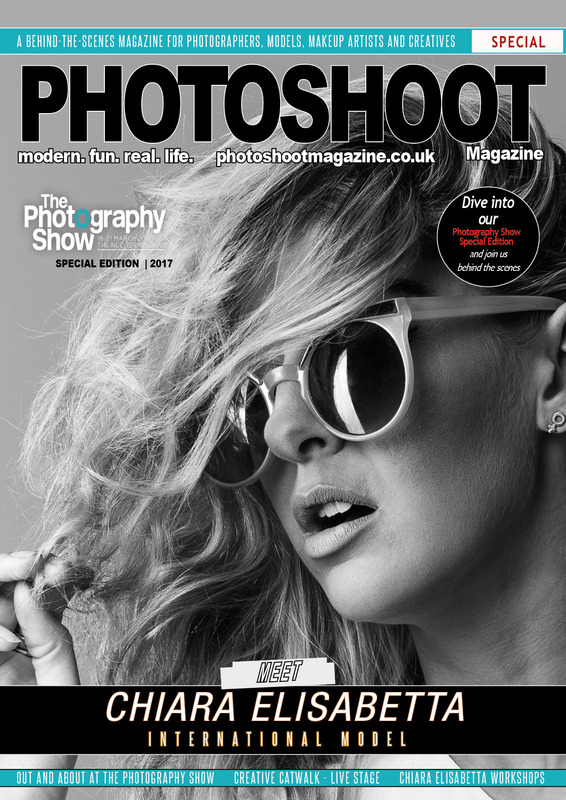 We hope you enjoy The Photography Show Special Edition.